The impact of video in advertising is undeniable, and whether it is GIFs that are seconds long or longer formats, everyone is using video ads to connect with their audience. 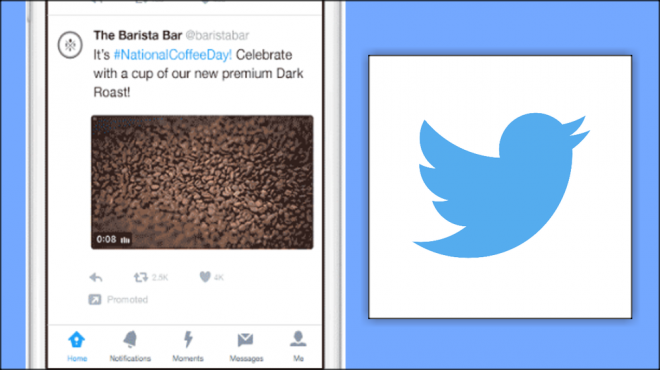 Twitter’s First View takes the popularity of video and lets brands share their message in a highly visible way with premium placement. While the market has many different outlets for brands to advertise with video, the benefit of using Twitter is it allows advertisers to insert themselves when an event is trending. Whether it is the Super Bowl, the Grammys or any other large event, Twitter video ads will provide a strong reach because it is highly targeted. Twitter makes this possible by giving advertisers the opportunity to own Twitter’s most valuable property for 24 hours. The top ad slot in the timeline can now be purchased with a promoted video, so anytime a user initially opens the app or first visits Twitter.com they will see your brand. Although details are still pouring in, First View will be video only in the beginning. A Twitter spokesperson told TechCrunch they will be adding other types of Tweets in the future. First View ads will be available only in the U.S. with select U.S.-managed clients across Twitter’s mobile and desktop apps and Twitter.com. The company announced global expansion will be available in the coming months. This new advertising format is a premium product, and Twitter has not announced the pricing structure. But it is fair to say since the company selected only managed clients, it is primarily geared for large brands, at least for the moment. And it is these large brands that will benefit greatly by advertising for the 24-hour period. According to Twitter Data, big events have had millions of users and billions of views. Super Bowl 50, for example, had a total audience of 4.3 billion views based on 27 million Tweets. The Grammys had 17.2 million Tweets and 2.1 billion views. These are all numbers brands can capitalize on by using First View when events with national and global audience participation take place.